CHENNAI, India - Aug. 20, 2018 - PRLog -- C.S.I. 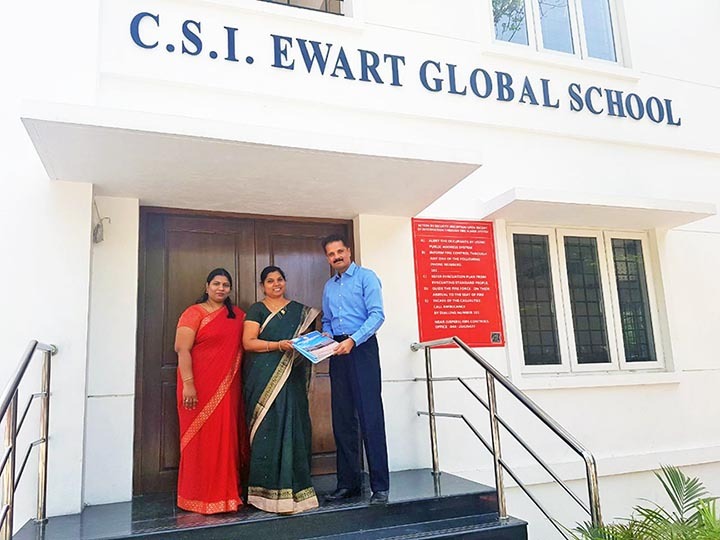 Ewart Global School launches Arise 'n' Shine's Emotional Intelligence program for its students.This Global School is the first CBSE School for the Diocese of Madras. Making the announcement, Mrs. Geetha Solomon, the first Principal of the School said, "There is a need to 'overhaul' our present education system. Character building education is the need of the hour. The concept of Emotional Intelligence is of great significance as it helps teachers understand their students better and mould their character accordingly. Arise 'n' Shine uses creative activities to bridge the gap between talent and academics. Integrating Emotional Intelligence in the curriculum sets a positive tone for optimum learning experience. The curriculum is designed to address student's emotions and their different learning abilities." The typical student's attention span is about 15 minutes. In accordance with this new programme, the teachers will use multiple modes of teaching like visual, auditory and kinesthetic, and activities that nurture their Emotional Intelligence. The concepts are broken down into real-life scenarios with examples from student's daily routines. The students will be assessed based on their technical skills, learning abilities and EQ on a quarterly basis. This program is integrated in the English language curriculum. The entire curriculum is activity based and there are no formal examinations. Classes are held twice a week for students from Nursery to Class 6. Arise 'n' Shine has already integrated Emotional Intelligence into the curriculum of few schools in Tamil Nadu. "Our vision is to make this program available to all schools in Tamil Nadu and other parts of the country. So far we have transformed over 50,000 students. As a parallel initiative to serve the cause, we've launched over 25 special training centers in the name of MyBeeClub across Tamil Nadu. Students who do not have an English and Emotional Intelligence integrated program at their school can enroll at the nearest MyBeeClub center. These centers are placed within 1-2 km distance from their schools." says Raj Ganesh, CEO of Arise 'n' Shine. Arise 'n' Shine's history dates back to 2003 in Michigan. Their program introduces the components of Emotional Intelligence to maximize student's learning potential for creating a holistic transformation. With a sense of responsibility and an ambition to give their best assistance to the education system, Arise 'n' Shine has always strived to help nurture the heart of the student's brain. MyBeeClub's WhizzKid Challenge - Unleashing Student Potential! The Wedding Gallery Studio Opens in Anna Nagar!